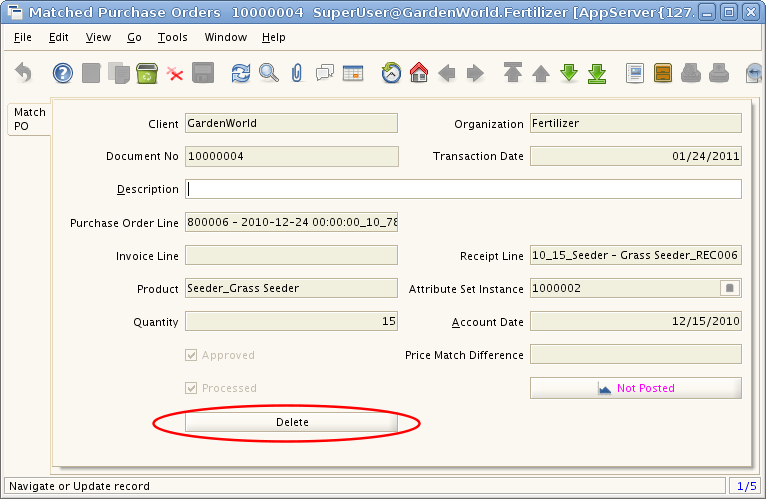 Using button "Create lines from", can auto matching material receipt lines with purchase order lines. In this case, we are using Window: Material Receipt. Tab: Material Receipt. 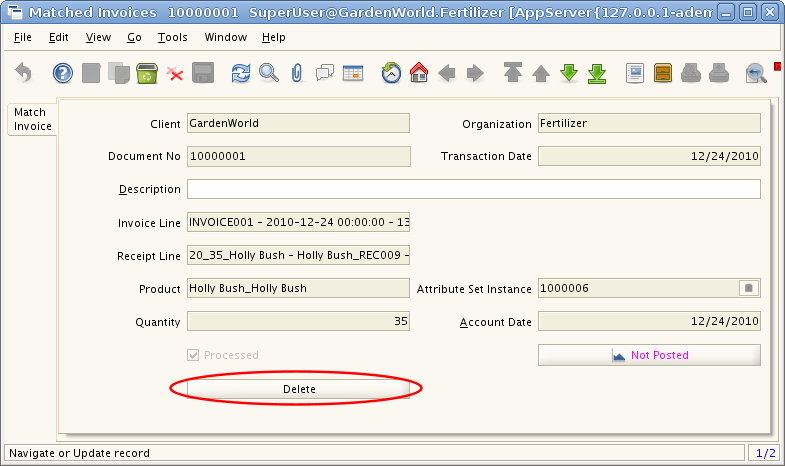 The method is the same for Window: Invoice (Vendor). Step 2. Click button "Create lines from"
Step 3. 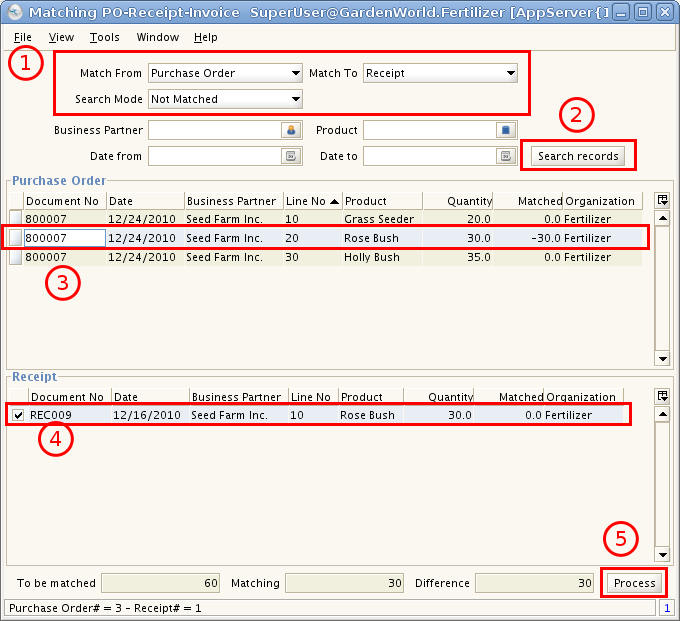 Choose Purchase Order and select PO Lines, and then confirm. Step 4. You can see matched Purchase Order here. Step 5. Complete the document. Step 6. 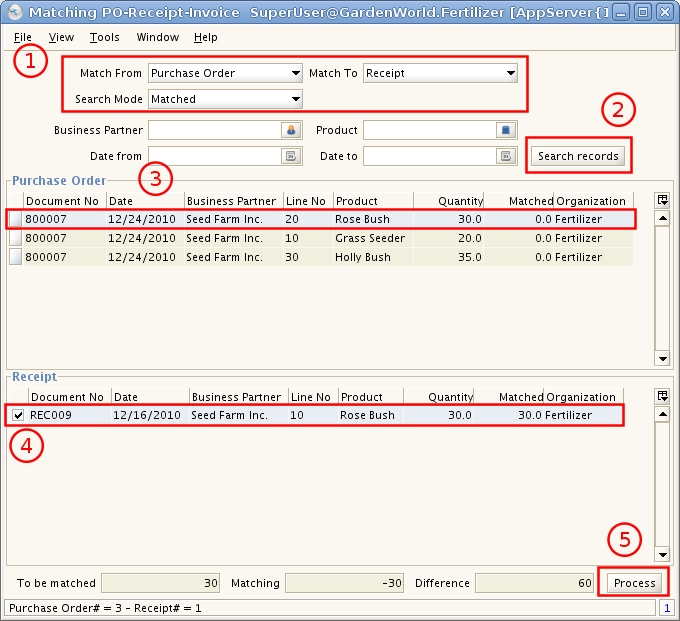 Select Receipt Line and then go to Tab Matched POs, you can see matched Purchase Order Line. 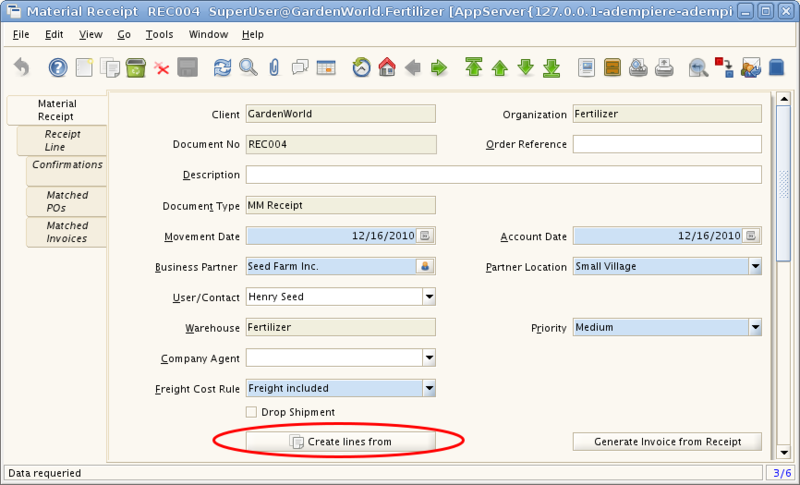 The Purchase Order / Material Receipt / Invoice have to be PROCESSED before matching. If you want to match partial shipment, make sure that "Same Quantity" is not selected. There 3 windows you can delete matched records. 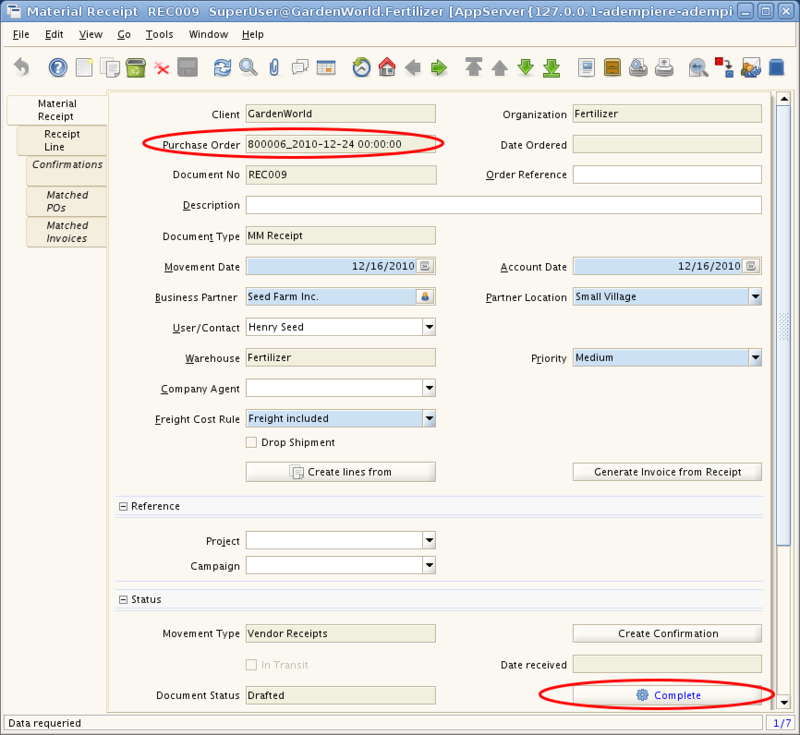 This page was last modified on 24 January 2011, at 20:09.